← U.S. Export of Liquefied Natural Gas — Geopolitical & National Security Impact. Critical Trade Developments — New Global Players to Chinese Cyberespionage — It’s Now Really Interesting. A range of critical trade developments have recently burst upon the global trading system ranging from selecting new global players to Chinese cyberespionage for commercial purposes. It’s now really getting interesting. Two new world trade players named — Michael Fromm as the new USTR from the White House and Roberto Azevedo as the new WTO Director-General from Brazil. Both are to take office in the near future. This represents a new chapter in international trade negotiations. 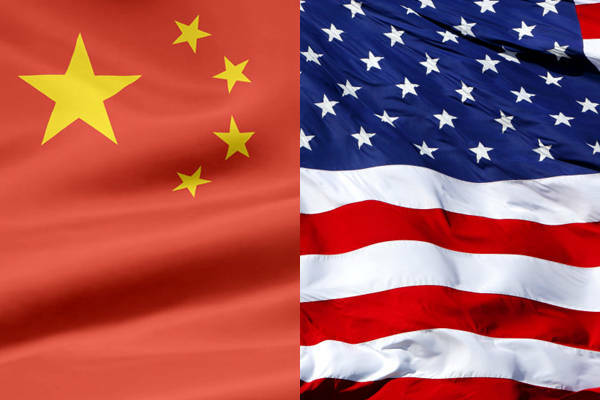 Chinese U.S. WTO litigation remains central to U.S. trade policy. The WTO has launched a new monitoring service of global trade remedies, and import / export legislation and regulations. The EU and China are about to enter into their largest trade dispute with the EU about to impose A/D duties on Chinese imports of solar panels. Here’s some additional information concerning these items. ….. Michael Froman has been named the new USTR which is subject of Senate confirmation. This confirms President Obama’s focus on global trade as a central issue for his second term. Froman is currently the Deputy National Security Adviser for International Economic Affairs. He holds both a law degree and a D.Phil in International Relations from Oxford University. “Barack Obama Cements Focus on Trade for Second Term.” Financial Times (April 29, 2013). “Froman for USTR.” Washington Post (May 3, 2013). …. A new Director-General of the WTO has been selected. Roberto Azevedo is from Brazil. His challenge is to revive the negotiation part of the WTO that results in new trade agreements. It’s role in dispute settlement arena is robust. Brazil has been aggressive in attacking global trade issues especially agriculture but has been somewhat restrictive in its own economic policies and concern for competitive currency devaluation (“Currency Wars“). “Brazilian to Lead World Trade Body.” Wall Street Journal (May 8, 2013). …. Update on WTO litigation generally and U.S. – China WTO litigation. …. Malawer, “China in the WTO / DSU (2001-2013).” (Chart) (April 25, 2013). …. Malawer, “U.S. – China Win / Loss (2001-2013).” (Chart) (April 25, 2013). …. Malawer, “U.S. – China WTO Cases — Bush & Obama Administrations (6 Charts)” (April 2013). ….The WTO has launched a new trade monitoring interactive database. This is very helpful. “New WTO Trade Monitoring Database.” USTR News (May 3,2013). Trade Monitoring Database. This contains information relating to trade remedies (dumping, subsidies and safeguards) and import and exports (for example, tax and regulations). …. The EU is planning to impose a large anti-dumping duty on solar panels from China. This could lead o one of the largest trade disputes in the WTO / DSU system. Another matter is pending concerning Chinese subsidies on solar panel exports. “EU to Impose Fine on Chinese Solar Panels.” Wall Street Journal (5.9.13). The U.S. subsidiary of the EU firm (SolarWorld) that filed this case brought a similar action previously in the U.S. The EU action argues that the solar panels containing polysilicone in the photovoltaic cells are being dumped in the EU. However, the downstream installers of the solar panels in the EU contend that the A/D duty would cause massive loss of business in the EU. “Trade: Solar Flares.” Financial Times (May 10th, 2013). This entry was posted in Global Trade Relations and tagged China and commercial cyberespionage, cyberespionage for commercial purposes, ED anitdumping duties on Chinese solar panels, Michael Froman, New WTO Director-GeneralRoberto Azevedo, NewUstr, U.S. China traderelations. Bookmark the permalink.